Home INSIDE SOCIETY: Fantastical Costumes, $2 Million Raised! The Fabulously Surreal Bass Ball! 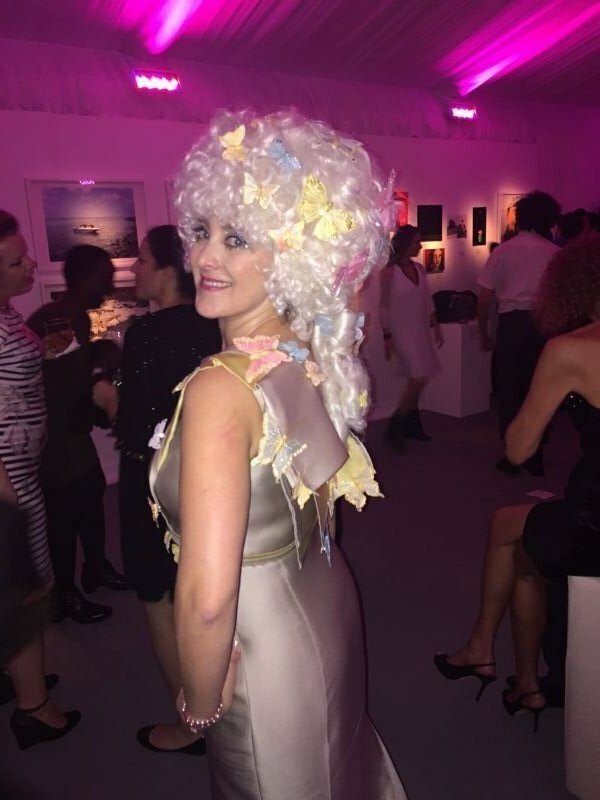 INSIDE SOCIETY: Fantastical Costumes, $2 Million Raised! The Fabulously Surreal Bass Ball! 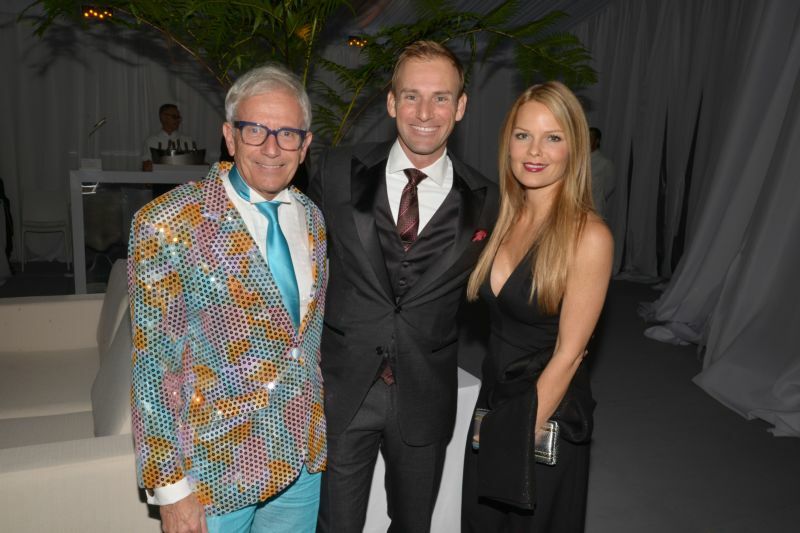 The moment Miami’s art-savvy supporters received the Bass Museum of Art’s The Bass Ball invitation calling for Whimsical Black Tie attire, it no doubt, created a collective flashback to December 1972 — a definitive night in international high society when Baron Guy and Baroness Marie-Hélène de Rothschild held the famous Surrealist Ball at their Château de Ferrières outside Paris. The select guest list included Audrey Hepburn, Salvador Dali, assorted royals and aristos, all of whom went to great lengths to wear outlandishly creative, Surrealist costumes as dictated by the grand hostess. 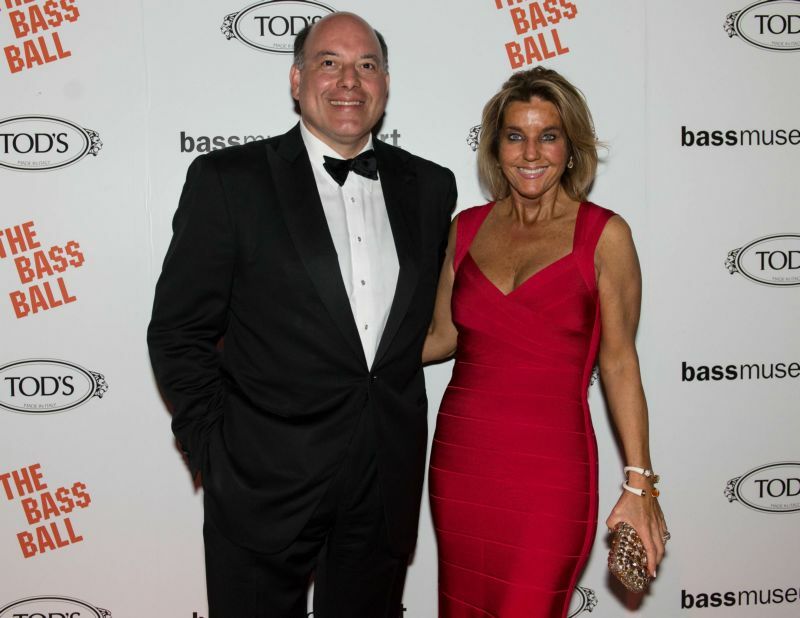 Likewise, The Bass Ball has set a precedent in Miami society — I’m calling it our own version of New York’s MET Ball — with many guests in over-the-top ensembles. But more on my Best-Dressed at the Bass Ball later in this post. 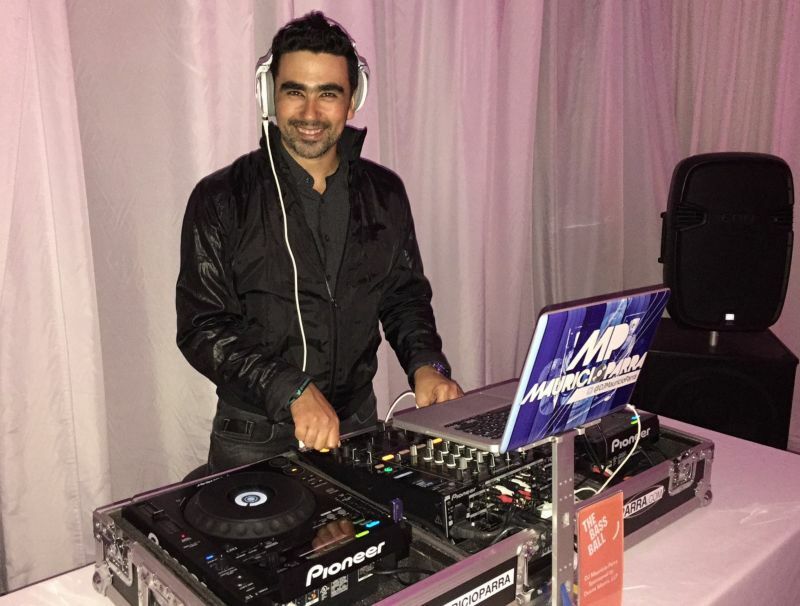 Over 350 patrons attended the $1000 a ticket, black tie dinner and the ‘keep The Ball rolling’ after party. The unique decor and exquisite menu by Le Basque Catering — helmed by the divine Alejandro Muguerza — was inspired by South African artist Athi-Patra Ruga, who premiered a new work at the gala, in which dancers covered in multi-colored balloons portrayed a new humanity. In 2015, Louis Vuitton commissioned the artist to create a huge tapestry that was displayed in the windows of its Champs-Élysées flagship store in Paris. The performance piece inspired the décor, starting in the dinner tent with an illuminated wall glowing with hot pink, orange and red lanterns. Guests were seated at long royal tables with tablescapes of glass globes, bud vases and hot pink and orange garden blossoms surrounded by candles. A truly magical ambience. Colorful cuisine that matched the décor, was accompanied by wines by Chateau D’ESCLANS, with the first course being an orange, pink and green beetroot salad. Then a Concord grape-glazed, slow braised short rib over a sweet potato purée and grilled hearts of baby Bok Choy. The sweet finish was an apricot butter cream Pavlova with roasted apricots and berries. To. Die. Three major gifts announced that night totaling over $2 million will go to the museum’s endowment. Ambassador Paul and Trudy Cejas donated $1 million as did Bass Museum Board President George Lindemann. Silvia Karman Cubiñá, Executive Director and Chief Curator, also revealed that an anonymous donor made an additional gift of an undisclosed amount. A large part of what made this night so enchanting was the enthusiastic crowd who went to new heights to wear some of the most creative costumes I’ve seen, so I had to find out the inspiration, process and effort behind each of The Daisy Column’s “Best-Dressed At The Bass Ball” winners. INÉS RIVERO: Supermodel Inés (from Argentina) who is one of the most down-to earth girls you’ll ever meet, wore a show-stopper gown by pal Naeem Khan, who was also at the ball. The headpiece was made by Paloma Teppa, Argentine artist and industrial designer, founder of Plant the Future. Inés found the white peacock feathers and gave Teppa carte blanche. She included real air plants and tiny, gilded antlers a la Marie-Hélène de Rothschild. MARIA BEGUIRISTAIN: Maria’s favorite Surrealist painter, Magritte, was the inspiration for her full makeup and cloud headpiece — a wig that just did not exist — so she had to find time to make it, creating it with a sturdy straw hat as the base. Jessica Concepcion from Neiman Marcus Merrick Park did her makeup but Maria went to La Casa de los Trucos, which, she says, never fails on the costume front, to find the perfect shade of blue. She was confident until Jeff Berkowitz asked if she was a cotton ball. CRISELDA BREENE: She wore a one-of-a-kind cape that was also designed by pal, Naeem Khan. It was only worn once at the MET Gala by Linda Fargo (the legendary senior VP of Bergdorf Goodman’s fashion office), the year Surrealism was the theme. The cape was displayed in Bergdorf’s holiday window and locked away in the archival closet until the Bass Ball! The cape depicts Apollo on his chariot and Khan was inspired by 1920s designer Elsa Schiaparelli, whose debut collection of sweaters featured Surrealist trompe l’oeil images. SUZY BUCKLEY WOODWARD: The founder of Shapoh.com (the online hat company) wore a mint green, sparkly Dennis Basso tulle gown with a stunning, mirrored fascinator designed in London. She says she was going for an over-the-top, “fairy tale” look, like something that would twirl around in a music box or look good on top of a cake! It worked! ALEXA WOLMAN: Alexa, who is always a fashion surprise, topped herself! She was in a hot-pink neoprene and plastic creation from Paris-based couturier Oscar Carvallo, accessorized with 40 tiny MP3 speakers individually playing disparate versions of La Vie en Rose. It was inspired by his love of Paris and Grace Jones. The music was on disks inside each speaker and each turned on independently, so the songs played at different intervals creating a chaotic, haunting effect. LESLI ANN BROWN: Lesli reflected on the Rothschild Surrealist Ball in 1972 and among the fanciful guests was one of her ultimate style icons, Brigitte Bardot, dressed head-to-toe in white and explains that Bardot was also a Bohemian queen of sorts in the Paris art world. Lesli decided to go the route of a ‘dreamlike fairytale empress of romanticism’ look instead of the dark side of surrealism and found a fantastic costume designer in LA who made the headpiece to compliment her sleek Calvin Klein gown! HADLEY HENRIETTE: Points for beyond-chic recycling! Hadley glimmered in the Swarovski crystal-trimmed, Vera Wang gown she wore 15 years ago at her wedding. Her husband created the bubble effect by tying a blue Tiffany ribbon around the skirt and together they fabricated the silver lobster headpiece. Sheenon at ATMA Beauty did her hair and Hadley felt that the “do” created the real transformation. Movie star glam! JOHN LIN: John, who is no stranger to a dramatic statement — wore a looong, gold-dotted, black chiffon cape with a 10-foot long train, adorned with multiple, twisted gold ropes. It was inspired by the melting clocks in Salvador Dali’s painting, The Persistence of Memory. He topped off the look with a daring “Disco ball” fascinator from Shapoh.com just because it was fabulous. SAM ROBIN: Art imitates life! Sam ordered her cheeky, ‘gloved hand with cigarette and sparkly cuff’ fascinator from FabHatters.com which, she says, was the crucial touch for her entire ensemble comprised of a vintage, green satin coat and also very vintage, Charles Jourdan green satin shoes and matching bag! ADRIENNE BON HAES: Artist Adrienne constructed her costume from 16 gauge vinyl with 23 darts at the neck — a draping challenge that required pliers. She titled it, “The Some of its Parts” playing off the phrase “sum of its parts.” Powered by 50 AA batteries and 25 switches, it was quite heavy. Electro-luminescent wire, which she bent into words, created the neon effect. The word ‘some,’ she adds, ‘denotes the minimizing quantity of partial value but in the context.’ Placed on the front of the garment, where it said SOMETIME, SOMEWHERE, SOMEHOW, SOMEDAY. The possibilities of SOME, she says, are infinite. ALAN FAENA & XIMENA CAMINOS: Alan, our Miami Gatsby who always wears white head-to-toe, added some color with a dramatic, Spanish Manton de Manila. His wife Ximena, in capelet covered with red roses and headpiece to match, explains, the concept was inspired by the ancient symbol for love and beauty and also as an homage to Frida Kahlo. CAROLE & OSCAR SEIKALY: Their ensembles were inspired by the performance artist of the night. Carole wore a dress from Italian designer, Gem, from En Avance, covered with multi-color beads that looked like tiny balloons and added over it, an “old” long Yves St. Laurent skirt. To create Oscar’s towering hat and bow tie, Carole contracted a children’s balloon company to execute her design.